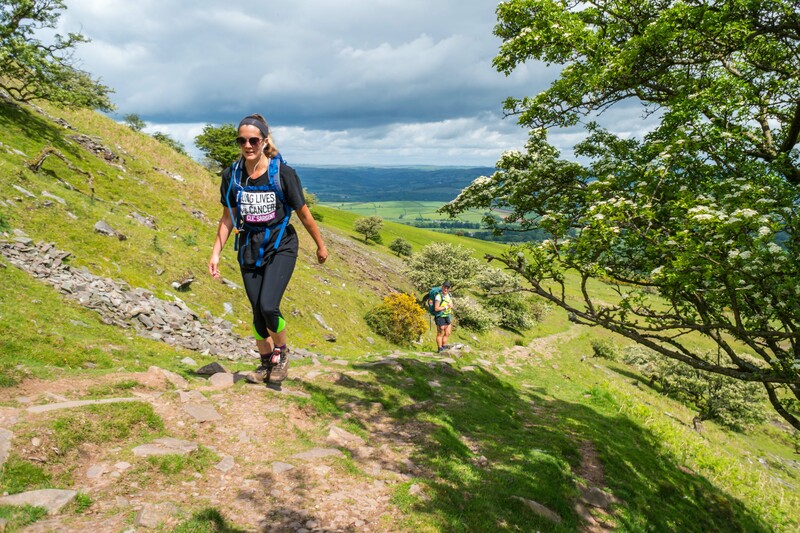 TrekFest The Peaks is just around the corner and here is everything you need to know about the UK’s ultimate trekking challenge! The TrekFest event village is located at Hope Showground, Castleton (S33 8RZ). Registration will be open from 7pm until 9pm on Friday 31 August and then from 6am until 8:15am on Saturday 1 September. If you are taking part in the 50km challenge then you must register before 6:30am on the Saturday. The event village is the perfect location to soak up the pre and post event atmosphere and will be open from 5pm on the Friday – so that those who are camping can bring their tents and get set up in our camping area. There will be toilet and shower facilities available as well as caterers and water points on the event site. Make sure you join us for an awesome BBQ available on the Friday night as well as making the most of the inflatable pub, which will be open on the Friday and Saturday – the perfect place to meet your fellow trekkers and celebrate with them after completing your challenge! You will also be able to purchase breakfast on both the Saturday and Sunday morning – please note we only accept cash payments at the TrekFest Village. Feel free to bring along your friends and family to support you on your trekking adventure and to cheer you on over that finish line! If your friends and family would like to join you camping for the weekend then a cost of £10 per person will apply (children 12 and under are free). 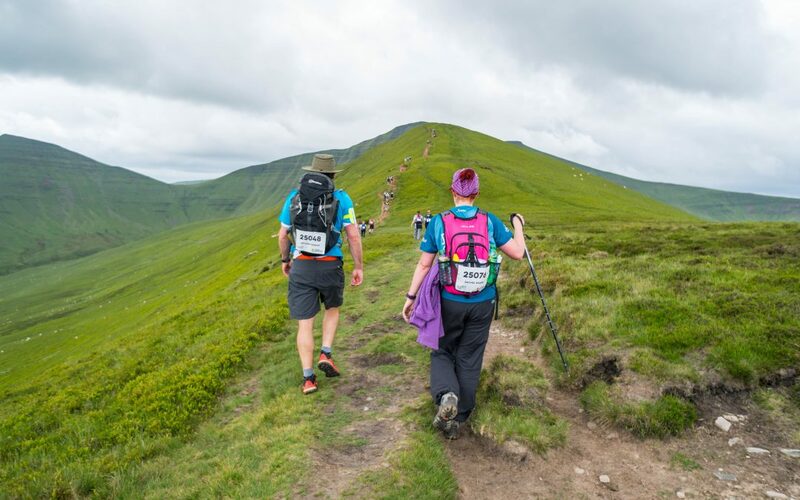 You will be fully supported on your TrekFest adventure from start to finish – there will be marshalled checkpoints providing complimentary snacks and refreshments, support vehicles, mountain leaders and a hot meal half way through on the 50km route. Remember – this is not a race; make sure you have rest stops when you need them and keep hydrated along the way! This said, please be mindful that there is a maximum time allowed to complete both routes; 17 hours 40 minutes (50km) and 8 hours 50 minutes (25km), and specific times you will need to reach the checkpoints by. If you are taking part on your own – don’t worry, the camaraderie among our TrekFesters are second to none – supporting each other along the way and creating friendships that last a lifetime and not forgetting our awesome event crew who will be supporting you throughout! Once You’ve Crossed the Finish Line! As soon as you complete TrekFest 2018 you will receive a finishers medal and t-shirt, celebratory drink and a hot meal – and don’t forget to enjoy your post event massage! 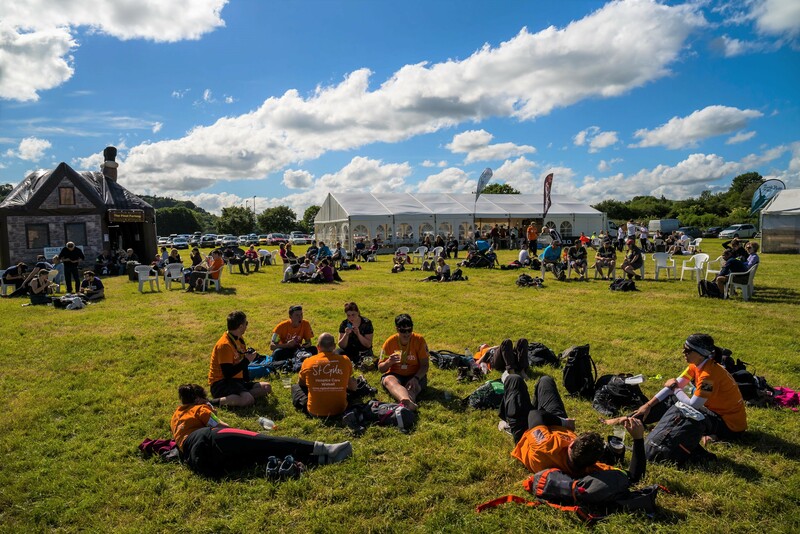 It is then time to relax and reflect back on your incredible achievement – enjoy time in the post event chill out zone or grab a pint at our inflatable pub! You will then need to vacate our event village by 10:30am on the Sunday. TrekFest results will then go live in the participants area in the week following the event – and don’t forget to share your photos and experiences with us in your dedicated TrekFest 2018 Facebook Group. 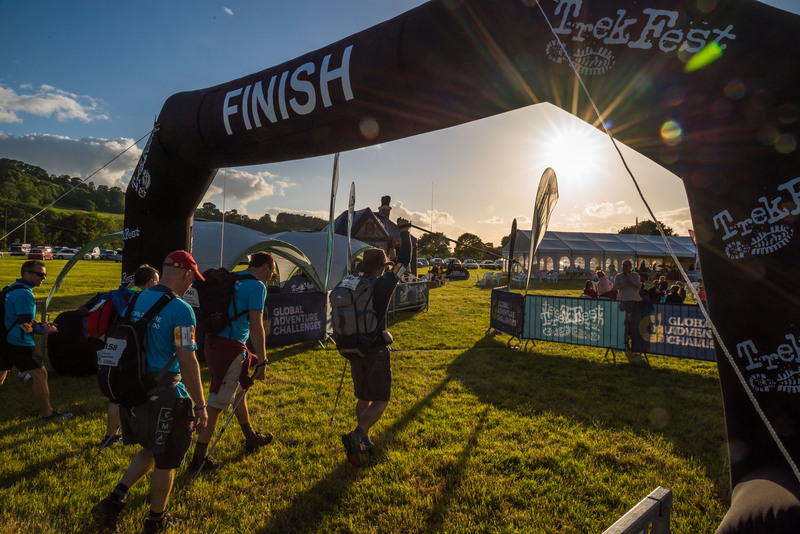 All other information including kit lists, route previews and elevation profiles are available on the participant area on the website and feel free to give us a call on 01244676454 or email us at info@trekfest.org.uk if you have any further questions. We hope you are as excited as we are about TrekFest 2018! Click below to see what past trekkers have to say about this awesome trekking challenge – and we will see you at the start line!